See original article on the Superior Telegram website. 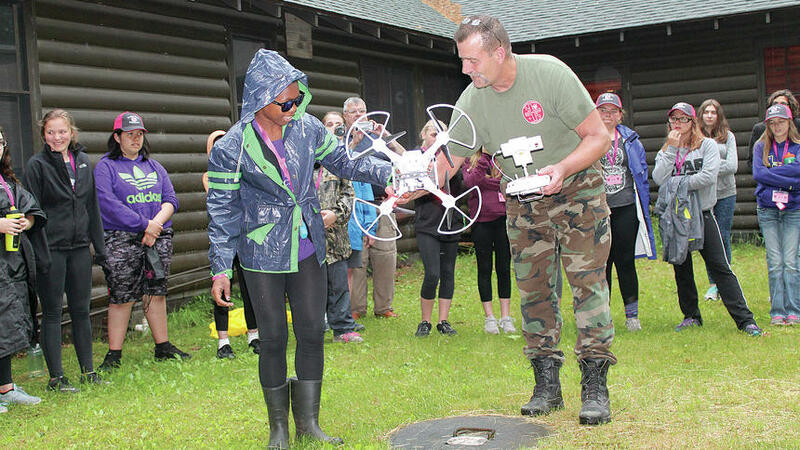 Middle school girls dove into the world of emergency medical careers this week at Camp Northwoods in Bayfield County. These Rescue Divas tested their self-defense moves, learned how to read a compass and discovered the importance of dogs in search and rescue work. And that was just Tuesday. She wasn’t sure what to expect when she got to camp Sunday. In an hour and a half Monday, they got the basics down. “It’s actually really fun and it’s nice to learn all this stuff just in case,” said Makayla Anderson, 14, of Superior. This is the third year the Rescue Divas camp has been offered, but the first year it was opened up to students in Douglas, Iron, Rusk, Washburn, Sawyer and Burnett counties. Many of the students who take part in the five-day camp have close ties to emergency responders. 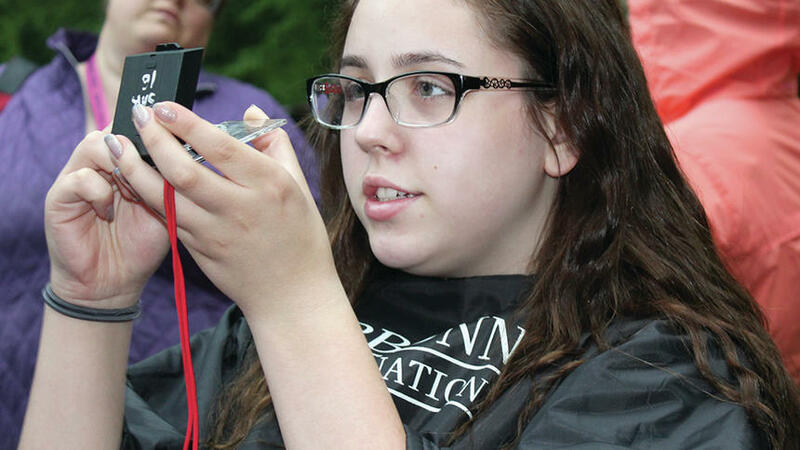 One Superior student was prompted to become a Rescue Diva after a close brush with emergency responders. Okey chose to gear the program to middle school girls because high school students are already picking career paths and often work over the summer. Women are also underrepresented in the emergency medical field. “It’s kind of the idea that little boys have been exposed to fire trucks and police cars, you know, and we just wanted to make sure that girls got the opportunity to be exposed to ambulances and helicopters, and search and rescue dogs, and things like that, just excite and stir some interest in them,” Okey said. The cost to attend camp was minimal — $35 per camper — thanks to the major funding from Northwest Wisconsin Area Health Education Center. Rescue Diva programming included CPR training, self-defense classes with Long Island Tae Kwon Do and a field trip to area emergency response organizations. Tuesday afternoon, members of Sawyer County Search and Rescue visited with compasses, dogs, a drone and plenty of enthusiasm. She led a team of girls as they followed a set of muddy tracks, teaching them the importance of low-tech methods involving sticks, rubber bands, pencils, paper and compasses. “When I was younger, this was not even something I thought about,” said fellow search and rescue member, Jessica Kujala. “Or knew about,” said fellow volunteer, Kelly Falk. Sawyer County Search and Rescue was founded following the 9/11 attacks in 2001. It was created as a youth program, and has trained about 136 young people over the years. The team, which is funded by grants, donations and fundraisers, is called out between 10 to 24 times a year to search for missing people. And they’re always looking for more volunteers. Makayla expressed an interest in becoming a dog handler; Kaylee’s got her eye on a career as a surgeon. Halie and Arfee said they’d like to try out Tae Kwon Do. Rescue Divas aims to give them, and their families, a glimpse at possibilities and a message that there is a need for medical volunteers. Learn more on the Rescue Divas Facebook page or visit nwcep.org and find Rescue Divas under the career exploration section. Learn more about Sawyer County Search and Rescue on Facebook or email psanchez@sawyercountygov.org.